The widespread availability of video streaming services and the proliferation of smartphones have enabled users to do away with the need to download heavy content and thus save storage space on their devices. But the service provider—be it YouTube, Netflix, or any other—has to face serious challenges in offering a seamless experience to users. Two of the major concerns are storage space on their servers, and the resultant power consumption. Conversely, the user is confronted with challenges like bandwidth issues, unstable streaming flow, and video encoding issues. However, a solution is in the making to enhance the user experience and simultaneously minimize the worries of the service provider. Marina Zapater Sancho and Arman Iranfar, researchers at EPFL’s Embedded Systems Laboratory (ESL), are working on a superior method for streaming that will have the twin advantages of better resource utilization (for the service provider) and user-specific output in terms of compression quality and encoding (for the end user). It is expected that the new method will reduce power consumption by a fifth and improve the user experience by about 37%. The impact of the research can be gauged from the fact that 80% of traffic on the Internet is in the form of video streams. Thus, it will be a win-win situation for both the provider as well as the user. 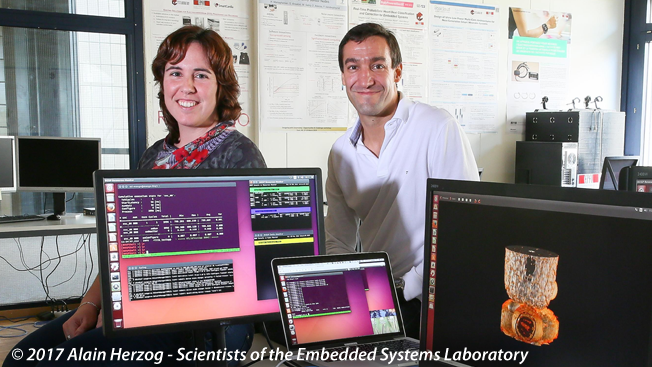 The researchers have adopted a machine learning-based approach to improve the functionality of embedded applications on multiprocessor systems-on-chip (MPSoCs). This is expected to manage power and temperature levels efficiently. As observed by Arman Iranfar, computers and the encoding systems will assimilate past experiences to optimize power consumption, performance, and compression. The study envisages the machine-learning model to calculate the best resource allocation possible without compromising the quality of streaming. Instead of storing multiple copies of a video at different bitrates, which not only eats up storage space on servers but also increases power consumption, service provides only need to store one good-quality video. With the optimization method proposed by the researchers, the streaming will occur with automatic adjustments depending on individual users. When complete and deployed, the study will indubitably scale new frontiers in streaming technology. It is being conducted as part of the MANGO project, which is supported by the EU Horizon 2020 program. Audiences in Seoul will get a glimpse of the efficient streaming method this month at the 13th ACM/IEEE Embedded Systems Week.